Now that 'Dreams of the Few' is in the bookstores and online, it is time to publish another installment of 'Musings on Writing'. If you are an aspiring author or an author who just wants to validate your process or learn more about writing, you may want to browse our previous posts on the writing process and see what, if anything you can glean from those posts. Feel free to share your comments and thoughts with me and with other blog readers! This time, we're going to talk about creating characters your readers will love. Appeal to Your Audience: The foundation of character creation must include an understanding of your audience. If you don't know your target audience; if you aren't speaking to a specific reader; you are probably going to miss the mark with your characters. Someone who buys your book because it is advertised as a crime novel isn't likely to take to a character who is running through a meadow scattering flowers in the wind. They might, however, like a quirky detective who also happens to be a bird-watcher. If you are writing in a particular genre, or for a particular audience, craft your characters accordingly. We've talked about writing for genre and audience before, but it bears repeating when it comes to creating characters. Character Depth: The second consideration in character development is what I refer to as 'depth'. Readers despise cardboard cutouts, one dimensional characters and cliches. 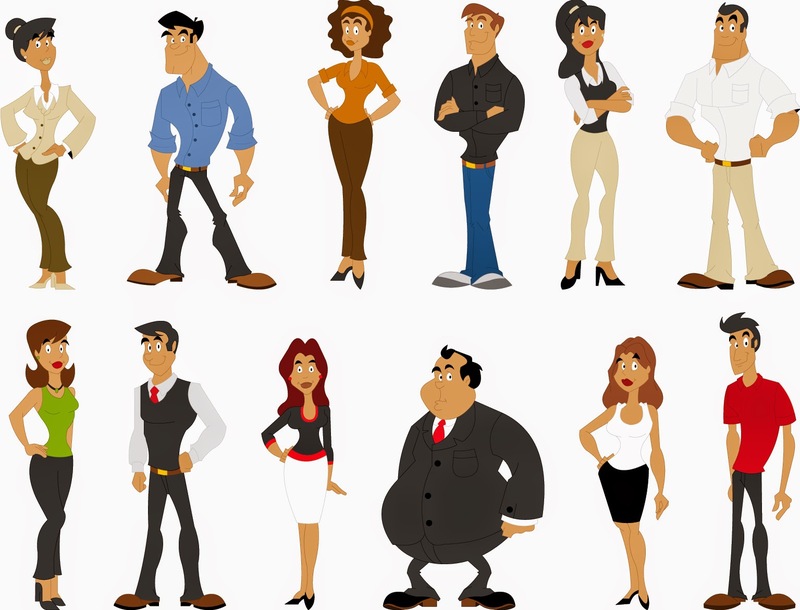 Create a character that looks, talks and acts like a real person - one that has strengths and weaknesses. Unless you are writing a sci-fi or fantasy novel wherein your characters will fly, display super powers or interact in a way that is superhuman or out of the norm, your readers will expect the characters in your book to behave in a believable fashion. If you are writing about a character who is psychotic or behaving erratically, you will have to put that behavior in context, so that your readers understand the paradigm. Back Story: Take the time to give your character a back story. By the time you sit down to write your novel, you may have a detailed outline or a simple 'beginning, middle and end' for the story. You will probably know the identities and maybe even have an image of the character in your head. But, if your characters don't have a life story...if they don't have a tale to tell the readers, they will lack gravitas and depth, and you don't want that. What you want is for readers to get attached to a character, to sympathize, empathize and have compassion or understanding for that character. If your readers don't understand the characters in your novel, they will not relate to them or embrace them. Actions and Reactions: With your back story in place, you can write scenes and dialogue that depict believable, authentic character actions and reactions. Don't betray the trust your readers have placed in you by establishing behaviors and patterns for a character and then taking a turn wherein a character takes an action that is 'out of character' - unless, of course, that character's behavior can be explained by extreme stress or extraordinary circumstances. Be true to your reader AND your characters. Reader Relatability: Yep, 'relatability' IS a word and it is important to character development. You KNOW your audience, right? You KNOW the story you want to tell. If you can answer 'yes' to both of those questions, then creating the perfect character should be easier. Give your characters the traits and characteristics that will draw your readers in and make them want a sustained relationship with your characters. That means that every character must have SOME redeeming qualities, some flaws, some relationship or life issue that your readers understand based on personal experience. While it is always interesting to read about someone who is totally different from you, there must be SOMEONE in your novel that a reader can relate to because they have been in that character's shoes, or because they feel the same way about an issue or problem. Think of it this way: Is there at least one character in your book that your readers might want as a 'best friend' in real life? If so, you've got an anchor! Ordinary People in Extraordinary Circumstances: The most interesting characters are ordinary people (people your readers could imagine in their everyday lives). Again, if you are writing a sci-fi, paranormal or fantasy novel, you may create characters that are nothing like 'normal' people, but there must be something 'average' about your characters in order for your readers to relate. The best stories are about ordinary people in extraordinary circumstances. Readers love to see how people will react to stress, change, extreme situations and major life challenges. Create a 'regular' person and put them in a difficult situation and watch what happens! There are many other facets of good character development, but this overview should get your started. Please feel free to comment or ask questions.